Well Steam Dev Days has kicked off in style and we have a little bit of the lowdown here for you, keep an eye on this post as I will keep updating it to keep everyone in the loop as much as I can! This information is gathered from many different developers at the event as they leak it out. Well, I say leak it's more like a flowing river! 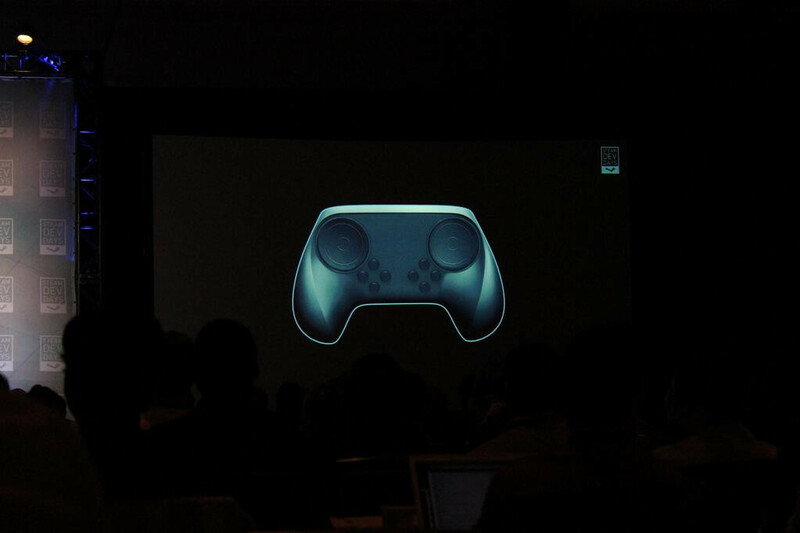 Every developer there got a Steam Controller and a Steam Machine for free! That's right, every single developer team now has a Linux SteamOS box, that's one way to win developers over. Valve want things like Music, TV and more on SteamOS. Alienware's Steam Machine will launch in September. Valve want to move away from Greenlight. Working on their own OpenGL debugger called VOGL developed natively on Linux, more info on it here. Looks like Valve will be making the most complete OpenGL debugger around for free, wouldn't make sense for them to charge for it. No longer has a touchscreen (see this image), it will have a DPAD and ABXY buttons for backwards compatibility. It will use AA batteries - that's a bit dissapointing, I hate fiddling with batteries. It does mean that you won't have to buy a whole new controller if the battery pack inside died though. Has an API for developers to hook into. 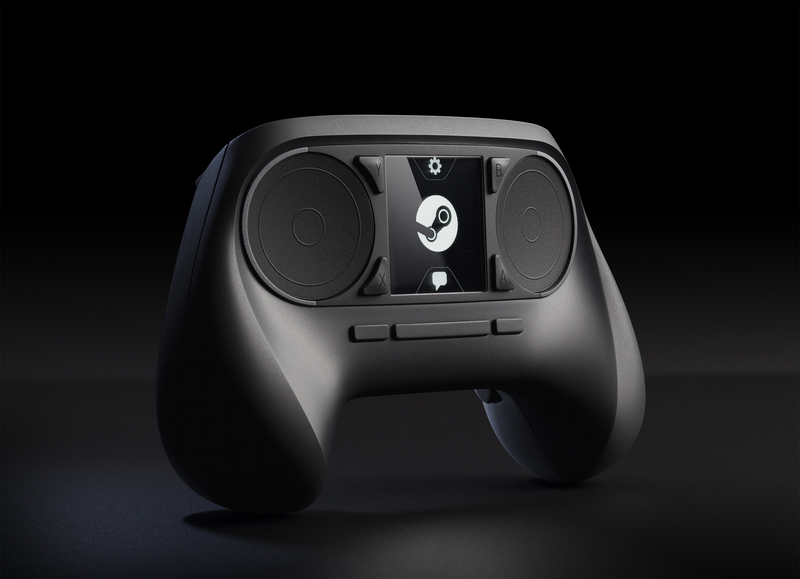 The Steam Controller API supports up to 16 players. - So who will be first to come out with a controller-based 16 player game then on one screen for Steam? Key-bindings will be crowd-sourced to find the best ones. May still change more yet! Steam now has 75 million active users. I sure do hope more developers bring their games to Linux after attending this event, no reason not to at least test now with a free Linux machine! It certainly does look important to Valve, important enough for them to team up with Intel & Gigabyte to give away free machines and controllers! You can see the information flow in from twitter here. Be sure to follow us @gamingonlinux to keep up even quicker with our retweets and to generally follow us! This information comes from many different developers tweeting the info in public, thanks to them! I don't get this about the controller: "No longer has a touchscreen, will have a DPAD and ABXY buttons for backwards compatibility." Where are they putting them? In place of the touchscreen? AA batteries are the right choice, at least as long as the hardware is good. My Logitech F710 has been running the same two AA batteries for months... Never did my PS3 controllers ever last that long. I am disappointed to hear about this d-pad/ABXY crap, though I need to see it to understand it. Edit: that live feed embedded in the post is super annoying to try and scroll through. Can you filter out the retweets? 16 controller support... Must have something to do with the 8 screen support announced when they started the SteamOS project... What kind of gpu will support that now? I hope that the battery pack is like the xbox where it comes with a spot for 2 AA batteries but you can replace it with a rechargeable battery pack. I hate buying new batteries. Quote from philip550c I hope that the battery pack is like the xbox where it comes with a spot for 2 AA batteries but you can replace it with a rechargeable battery pack. I hate buying new batteries. Not the same. Atm I can just dock my controller and it charges. That's a lot easier than pulling batteries out and plugging them into a charger. Noooo! I want my touchscreen back! Good to hear that the controller is taking AA batteries. Releasing some sort of proprietary or hard-to-get battery pack would have run contrary to the whole 'open' philosophy valve is spruiking. Besides, AA's work file on my xbox controller. Quote from Xodetaetl Use rechargeable AA's ? A dock could charge AA batteries as well, it doesn't have to be a non-standard battery. Instead of a dock, it could also be recharged by pluging in a USB cable (which would let you use the pad while it charges the batteries). Yesss, I hope they'll go for this, batteries + USB cable.